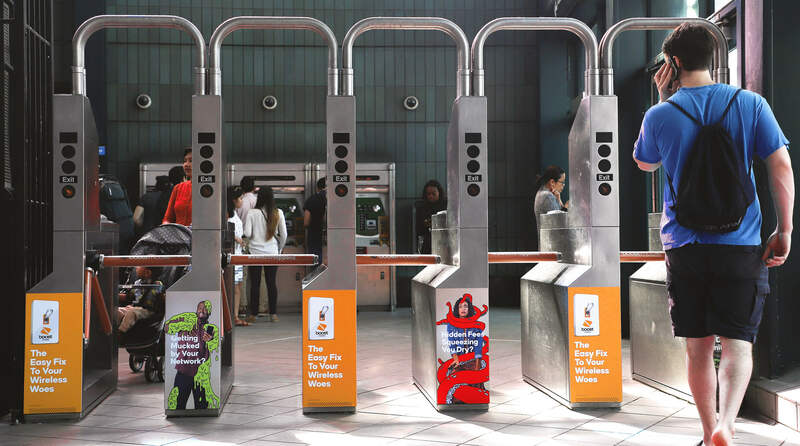 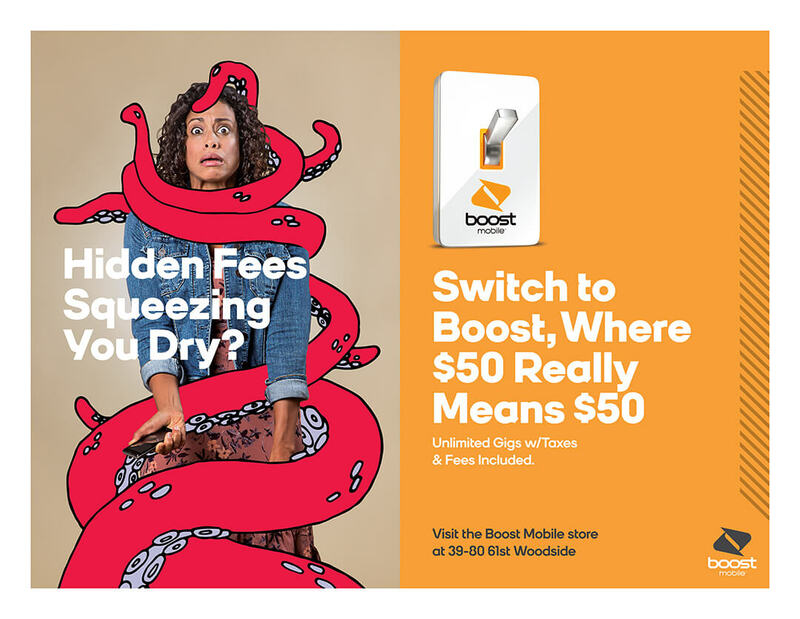 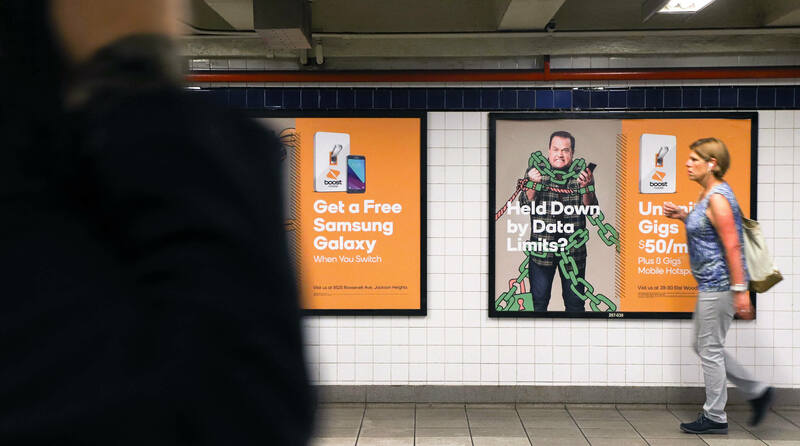 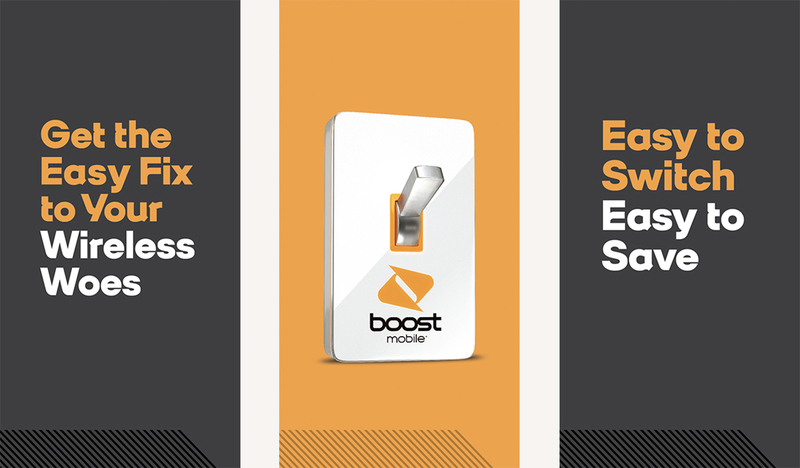 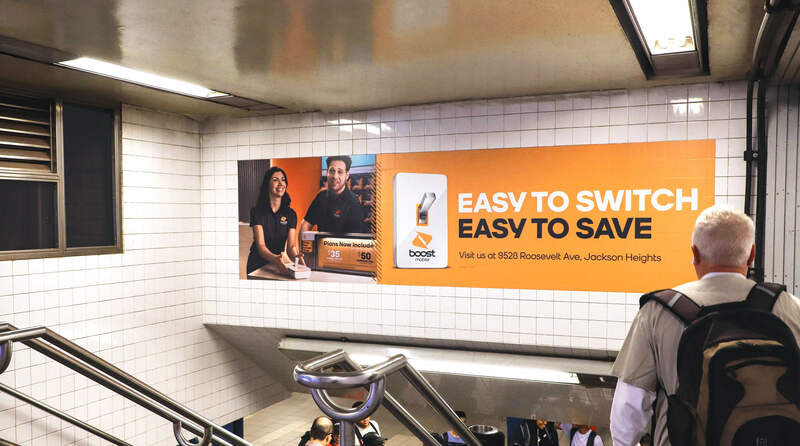 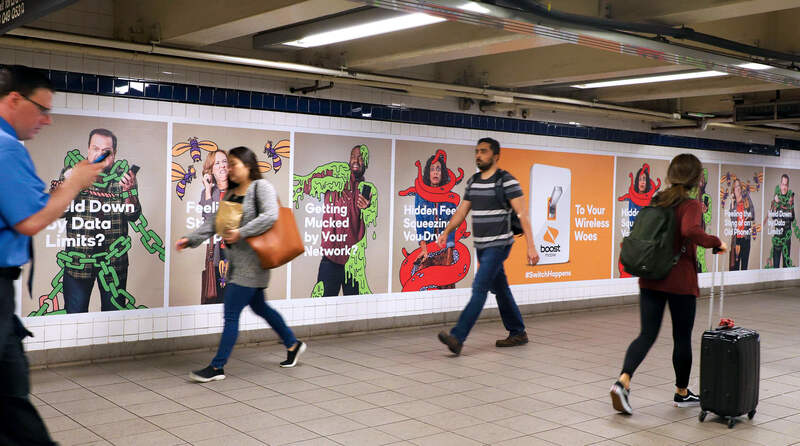 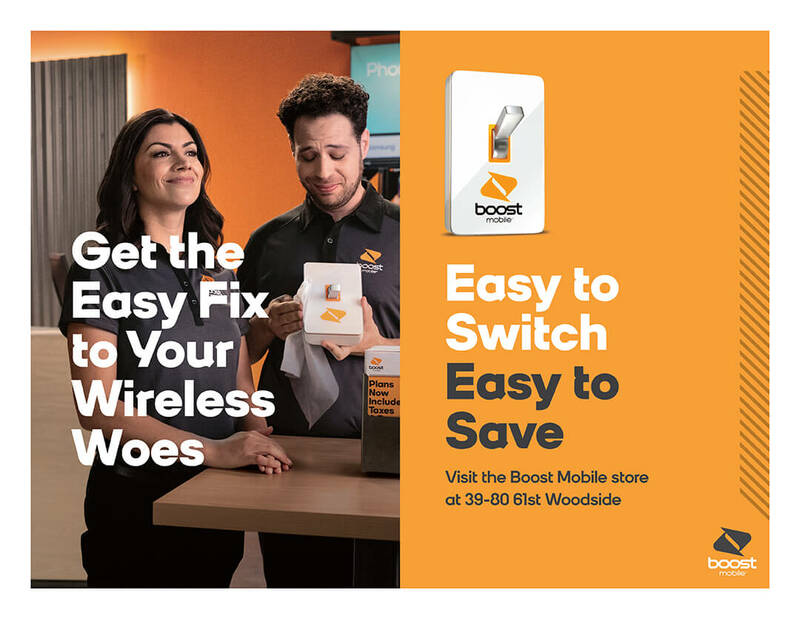 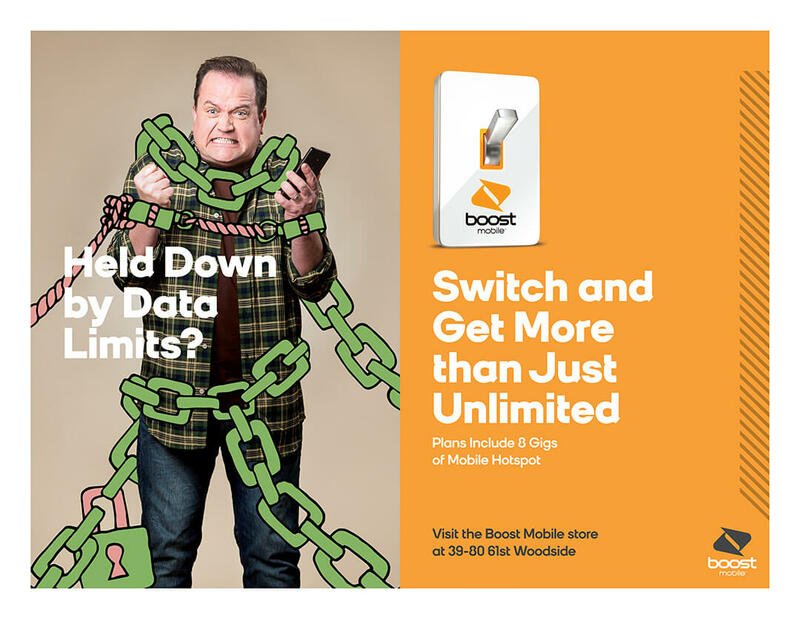 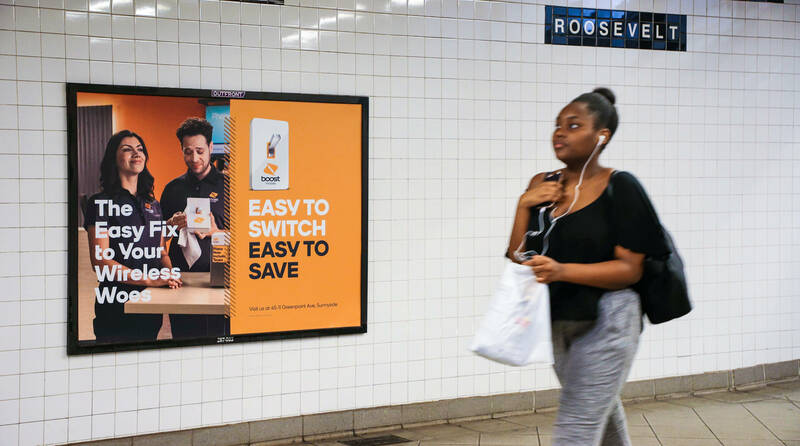 Following the success of a string of television spots launched earlier in the year, Boost Mobile approached Schiefer Chopshop with a request to revamp the signage system that they have had reserved in various subway stations throughout New York City and Philadelphia. 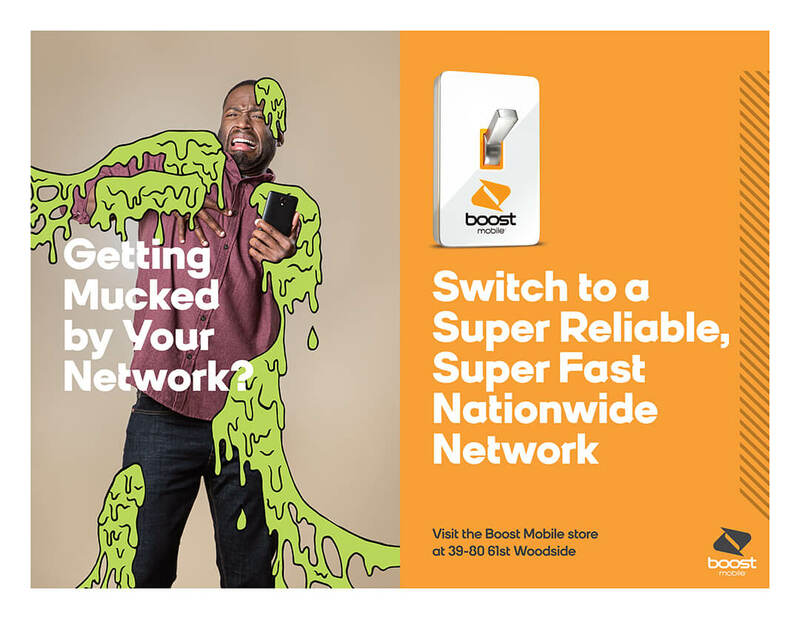 With the use of abstract illustration and characters from the previously successful television spots, we were able to bring these otherwise mundane pain points to life in a fresh and fun way. 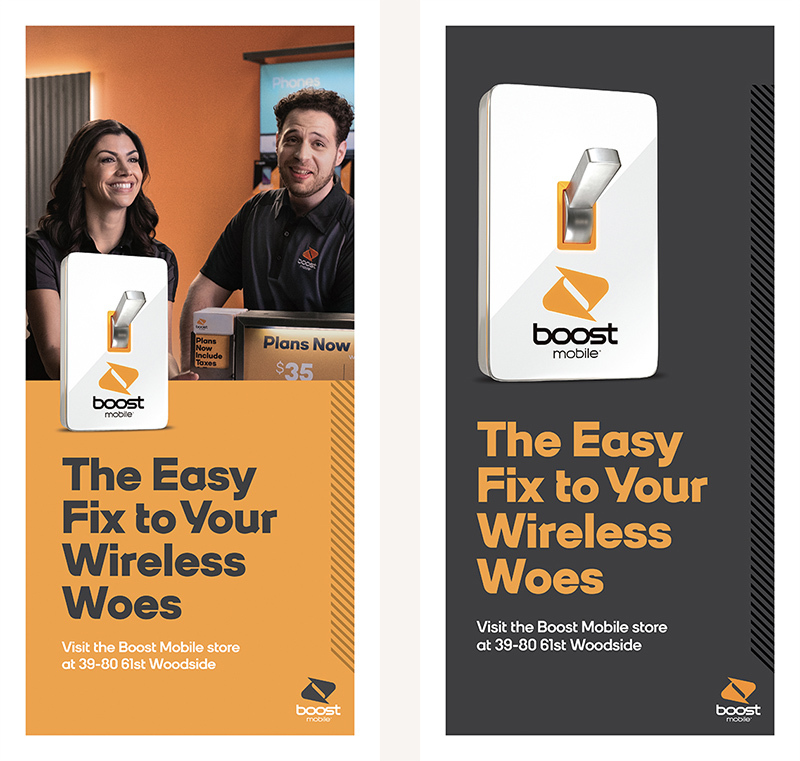 Each pain point was then paired with a Boost Mobile supplied solution and an address to a nearby store location. 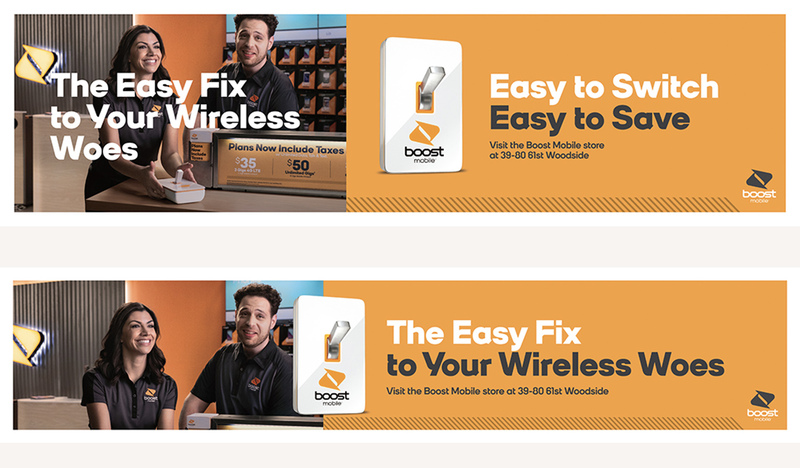 The end result was an immediate hit with the client and expanded to include assets for their social media channels.